Congratulations – you are pregnant! Now what? We want you to have a healthy baby! You probably have a lot of questions, and we are here to help. Texas Children’s Health Plan know the importance of a healthy pregnancy. We also know how overwhelming and confusing pregnancy can be. That’s why we created this website specifically for you. The average pregnancy is around 40 weeks. That may seem like a long time, but it goes by so fast. 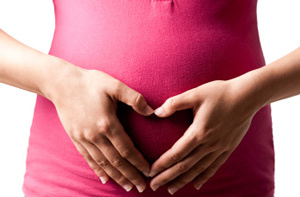 Your 40 weeks of pregnancy are grouped into 3, 3-month periods known as trimesters. It’s very important for you to know what changes are happening inside your body during each of these trimesters and what these changes mean for you and your baby. You can read all about them here on this website. We have separated each of the trimesters so that you can easily find the information you need. And if you just discovered you are pregnant, you can follow along with us during your pregnancy. So enjoy the ride and embrace your new body. And more importantly, embrace your little miracle! Click to learn more and sign up today! CM-0912-101 | Copyright © 2019 Texas Children's Health Plan. All Rights Reserved.